Why ccTLDs Are More Valuable Than .COM Domains? One of the last week’s sales on Sedo was biura.com. “Biura” means “offices” in Polish language. It was sold for 1150 USD. The same keyword in .pl (biura.pl) would generate at least 10-20 thousand USD from sale but probably much more. People in Europe (and in other parts of the world, too!) would generally prefer ccTLDs (.pl, .de, .co.uk, .fr etc.) than .com TLD. There are differences between countries and Spanish or French keyword in .com could be worth more than the same keyword in .es (for Spain) or .fr (for France). But in most cases .pl, .de, .se etc. names will be more valuable than .com domains (written in Polish, German or Swedish). On a global scale .com is king, especially English names + .com. But “locally” (country by country) people prefer ccTLDs. And that local trend will continue. Do you agree or not? Please comment! DomainSponsor has recently established its European head office in Frankfurt, Germany. They have also announced DOMAINfest Europe that will be staged in Prague on 6-7 October, 2010. It seems that DomainSponsor has taken it serious when it comes to European domain market and ccTLDs monetization. DD: How does DomainSponsor want to compete with well established European parking companies such as Sedo and NameDrive and how do you want to differentiate your offer? JS: Sedo, NameDrive and other players all have their own strengths. DomainSponsor Europe brings a new competitive edge to the market. Our most important differentiation for publishers is maximum monetization. While this sounds ambitious, it is based on our strong technology platform which we’re continually improving. Unlike other companies, we invest heavily in optimization technology to maximize the return on publishers’ global domain assets. In addition, we have the best pro-active customer service in the market. Just to add a little history, DomainSponsor pioneered the domain monetization industry back in 2002, well before Sedo and NameDrive appeared. So we consider ourselves to be extremely well established, with respect to monetizing traffic. DomainSponsor recognizes that Europe is not just one market like US. It is very heterogeneous with more than a dozen different ccTLDs, languages, cultures, legal requirements, etc. We understand the differences. We will take a market by market approach, to best meet different user behavior and domainer requirements. We know that we have to customize solutions for our customers. Hence our goal for the European marketplace is to listen to local domain investors, learn about unfulfilled needs and goals, and then build a better suite of monetization services than they have access to today. We have a big advantage in making this happen because we can build upon the technology, experience, and knowledge that has helped us become the leader in monetizing traffic. And since we are taking a fresh look at the European marketplace, we have the additional advantage of not being locked into a previous way of thinking. We can tailor our technology and service to what is happening in the industry today and what local domain investors see happening in the future. The first step in our process is to establish a strong presence in Europe. Then, we’ll continue to build relationships and promote new developments, bringing the latest technology to each market. DD: Are you going to localize your services for specific countries or leave is as it is now, with one website http://www.domainsponsor.com? JD: The website, Domainsponsor.com, is actually the publisher interface where our account and reporting tools are found. All domain administration can be done by our publishers here. For the immediate future the website will remain unchanged. Going forward, our plan is to localize or better geo-target the website as we grow our presence in Europe. We already have plans to allow users to select one of several languages when viewing either the front-end informational pages or back-end account management tools. Our goal is to make the website more informative and useful to prospective and current clients who may not be 100% comfortable with English. Initially, we will be offering languages from countries with the biggest market opportunities. Right now our first priority is to improve existing monetization methods and test new ones, on a country-by-country basis. We’ll localize our services for specific countries. For example, we will be enhancing our optimization technology so that it continuously analyzes, identifies, and uses the behavioral, keyword, and landing page nuances that are unique to each country, and in so doing, produces the maximum monetization on a country by country basis. DD: What kind of advantages can European domainers expect when DomainSponsor has its subsidiary in Europe? JS: Having been a domainer myself for over three years, I know that domainers are very interested in a real alternative to existing players in Europe. Everybody in our value chain will realize the advantages of more competition and more choice. With DomainSponsor expanding its presence in Europe, all domainers will benefit because tougher competition will spur innovation and help to accelerate the evolution of the parking industry. Oversee.net and DomainSponsor are strong proponents of our industry, helping to reshape its image and build recognition for the value it contributes. Moreover, our presence in Europe underlines the growing importance of the European markets in the global domain industry. Despite the economic downturn of the last 12-18 months, we see tremendous and sustainable growth potential in domain monetization. We are very excited to be playing a larger role in the European domain industry. DD: Why did you choose Prague for your second European show (the first one was in Amsterdam as far as I remember)? Actually the very first DOMAINfest was held in Barcelona in 2006. One year later we held DOMAINfest Amsterdam. This time we couldn’t think of a better place to hold a conference than Prague. To many, Prague is in the “heart” of Europe. It is an incredibly beautiful city. Prague has it all — a rich history, stunning architecture, wonderful people and great nightlife. In addition, the city is very “conference friendly”, which will provide a truly unforgettable experience for attendees. DOMAINfest Europe attendees will be able to enjoy all that Prague has to offer before, during, and after the event. It is also important to note that while DOMAINfest Europe will include a Moniker live domain auction, its primary goal is to provide attendees with an opportunity to network with colleagues and industry experts not only from Europe, but from around the world. DOMAINfest conferences have always offered unbeatable networking opportunities. And we think Prague is the perfect setting for an event like DOMAINfest which is so heavily focused on helping attendees build lasting and beneficial relationships. Also, by having the event in Prague, we wanted to acknowledge and make it easy for domain investors to attend from emerging/newer European markets, like Poland. 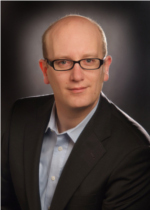 Joerg Schnermann is General Manager, DomainSponsor Europe. Schnermann previously was Chief Operating Officer of KeywordDomains.com where he managed and expanded large portfolios of ccTLDs and monetized traffic through multiple channels. Prior to working in the domain business, he was a marketing manager with the Coatings Division of BASF AG, responsible for the development and launch of value-added services in eight European sales organizations. Schnermann also has a corporate banking background with Commerzbank AG. He received his B.A. in European Business from DCU in Dublin, Ireland as well as a “Diplom Betriebswirt” from the European School of Business in Reutlingen, Germany. 32 domains were sold at TRAFFIC ccTLDs Extended Auction. Total sales grosses €75,701. Most popular ccTLD was .in (India): 8 domains sold, followed by .us (5 domains) and .co.uk (United Kingdom): 3 domain names. Full list of sold domain names at the auction.